The latest stats from NetMarketShare show that Windows 7 is still the most popular desktop operating system, but Windows 10 is catching up. Steam’s Hardware & Software Survey for November 2017 shows that PC gamers love Windows 7. Microsoft has released a new preview build of Windows 10, and has lifted the block on AMD-based PCs. The latest figures from NetMarketShare show that Windows 7 is still the most popular desktop operating system globally. 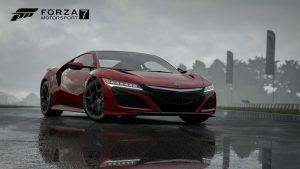 Microsoft has released a demo for its upcoming racing game Forza Motorsport 7. A bug in the Windows kernel dating back to Windows 2000 can be exploited to prevent security applications from detecting malicious software loaded at runtime. 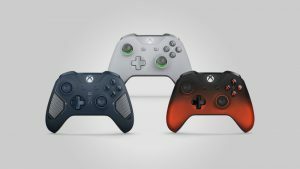 Microsoft has revealed three new Xbox wireless controllers, a smaller Xbox wireless adapter for Windows 10 PCs, and two new controller bundles. The May 2017 figures from NetMarketShare show that Windows 7 is still the desktop operating system of choice – and has grown its user base in recent months. The latest figures from NetMarketShare show that Windows 7 and Windows 10 completely dominate the desktop operating scene. Windows Vista will reach end of support on 11 April 2017, with Microsoft ending security updates, non-security hotfixes, assisted support options, and online technical content updates. While users on Vista and 7 may be annoyed by Microsoft’s policies, spare a thought for users on Windows XP – which reached end of support on 8 April 2014. Microsoft has blocked Windows 7 and 8.1 users with an Intel 7th-Gen or AMD Ryzen processor from updating their operating systems. Here’s how to get rid of the adverts built into Windows 10. Take a look at the biggest online gaming stores from a South African perspective. PC running a bit slow? Here’s how to boost your gaming performance in Windows 10. Have your games been laggy or slow lately? Here’s how to stop Windows 10 crippling your gaming performance. South African gamers can now get Quantum Break at less than half its original price. Looks like we are stuck with all that garbage software. Ever received one of those dodgy “tech support” calls from “Microsoft”? Let’s find out which operating system is better for PC gamers.